This morning Pillsbury shared my Banana Cream Pie Bites with their 2 MILLION fans on Facebook, and quite a few hopped on over to look at the recipe and read a few other blogposts of mine. Soooooooo, WELCOME to all my new readers/fans! I'm so glad you're here. I celebrated my one year blogiversary this week, and honestly feel like I am more on a roll than ever before. I am creating so many awesome recipes -- that there are quite a few waiting in the wings to be posted, and even a new key lime pie. It was ahhhhhh-mazing! This only has a few simple ingredients, but the flavor combination is powerful and intriguing! 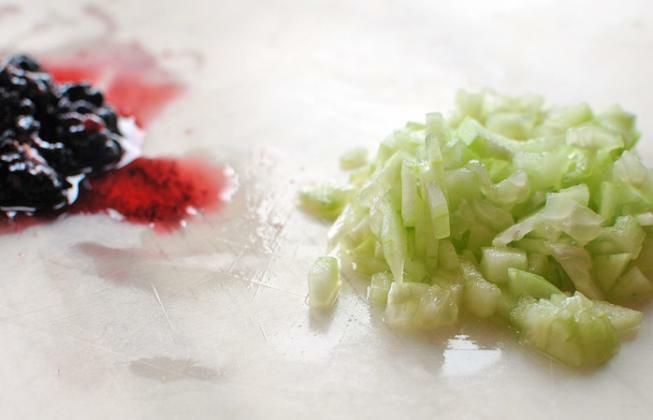 And the diced blackberries and cucumbers make it a beautiful purple color. Cook chicken (or use a rotisserie pre-cooked one). I boiled my chicken breast for about 10 minutes until cooked through. 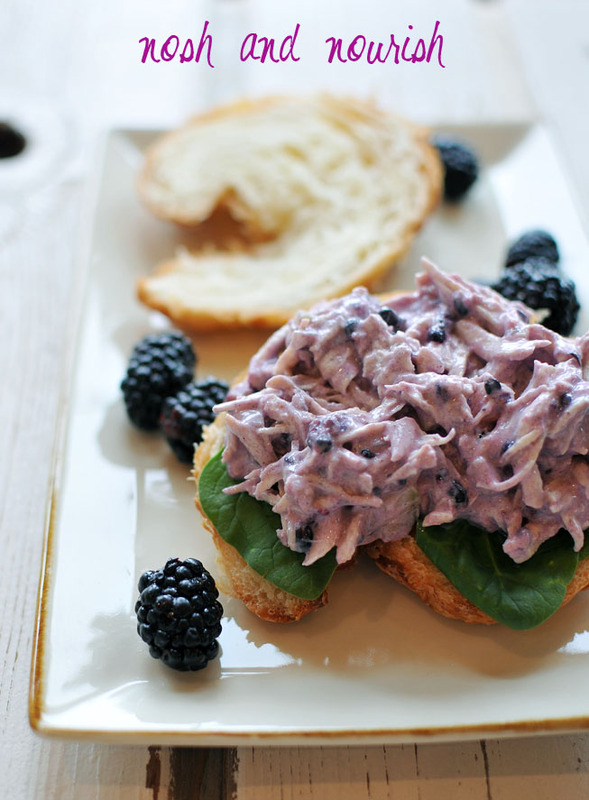 Mix chicken with cucumber, blackberries, yogurt, and cumin. 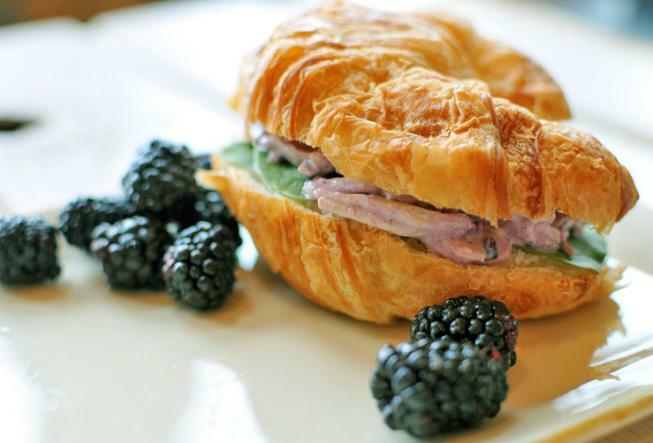 Serve on croissants with spinach, or just on a bed of spinach as a salad.